Nicola Noble is a Plymouth University graduate who completed her BSc (Hons) Occupation Therapy degree in 2016. Brought up by her parents to embrace all sporting and extra-curricular activities, Nicola succeeded in ballet, theatre, Girl Guides, Air Cadets, Duke of Edinburgh and Ten Tors. She represented St Peters Roman Catholic (RC), Notre Dame RC and St Bonifaces RC Schools in many different sports, but cycling soon came to the fore. Nicola’s father was a successful club cyclist in the 1950's, holding a number of local records, and her half-brothers represented Great Britain in the 1984 Olympic Games in the Track Pursuit and also the Milk Race. Her three full brothers are also cyclists, one was the South West Cyclo Cross Champion and the other two enjoy Enduro and downhill cycling. Running was also in the mix, with Nicola, her parents and little sister regularly participating in the local park-run, and in 2009 Nicola took part in her first running event and has not looked back since. Whilst studying full-time for her degree Nicola worked two days a week as a Health Care Assistant in the NHS to not only help pay rent, bills and food costs, but also race entry fees and licences, travel and accommodation costs, insurances, gym membership, kit, nutrition, bike maintenance, and upgrading equipment. Despite these commitments, Nicola joined the Plymouth University Cycling Club and continued to succeed in her chosen sport. She completed 3K, 5K, and 10K marathons in 2014 and also started road cycle racing, going from a novice cat 4 race license to cat 2 race license within a couple of months, beating women that had been training and competing much longer. Nicola pays recognition to the initial impetus given by the Plymouth University Cycling Club for making cycling so enjoyable and for providing such valuable support during cycling events. In 2015, Nicola qualified to represent Great Britain Age-Group at the European Championships in the Sprint Duathlon in Alcobendas, Spain. Having just missed the deadline for the University’s Sporting Excellence Scholarship she needed to self-fund for both this competition and the World Championships Qualification Race. 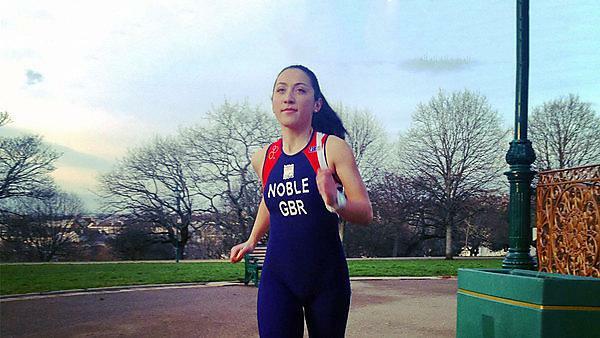 Nicola turned to Crowdfunder and, with support from the University and local community networks in the city, she more than tripled her original target, raising enough money to take part at the 2015 European Championships, successfully achieving bronze podium position. Nicola is now a Great Britain Age-Group duathlete, a Plymouth triathlon club member and the current ETU European Cross Duathlon champion. She suffered a bad injury in 2015 and was in and out of hospital for a while, but that didn't stop her. In 2016 she won the ETU European Sprint Duathlon Championships, claimed a gold at the ETU Cross Duathlon Championship (which she describes as her proudest moment) and finished sixth in the ITU World Sprint Duathlon Championships.